Probability and Likelihood – looking through the other end of a telescope. 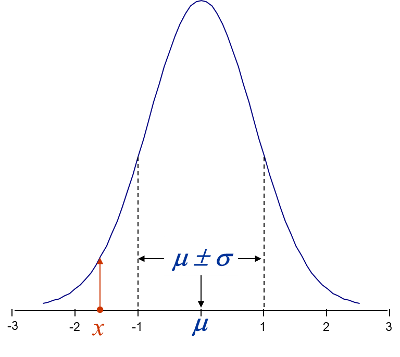 Figure 1 – Probability density showing the probability that an observation will fall between two given values of \(x\). The red ordinate shows the (relative) probability of a single observation. Figure 2 – Likelihood function showing the likelihood of the parameter values, \(\theta= (\mu, \sigma)^T\), given the observations,. 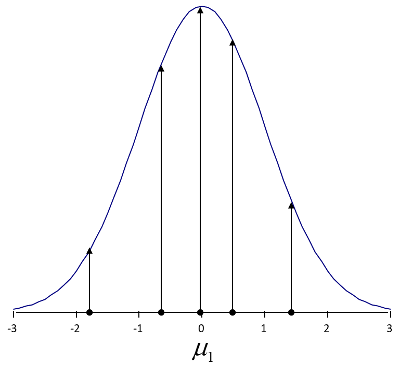 The likelihood function tells how likely the model parameters, \(\theta= (\mu, \sigma)^T\) are, given the observed value of \(x\). Likelihoods do not necessarily integrate to one.